For a business, reputation is of great significance. In fact, a positive brand reputation is considered to be the be-all and end-all. Businesses that have a strong reputation tend to get more referrals, lower customer acquisition costs and can charge premiums for their brand. This is why big businesses do everything they can to build and protect their brand. However, first-time business owners and entrepreneurs usually take this in stride. They will spend almost anything to keep their brand in a positive light. True, in today’s digital age, it is easy to build your brand reputation through the skillful use of social media and other online tools. However, decimating it can also happen just as easily. Just a single tweet, a negative feedback, a vague comment from a troll can get your business crashing down. And once it’s been smashed to pieces, it is very hard to piece it back together. This is why I really make it a point to monitor and track the brand reputation of my garage door service company. Entrepreneurs have worked hard to build companies like A1 Garage Door Service from virtually nothing into the 80-people, 8-FIGURE company that it is today. You do not want to let its reputation be destroyed in any way. You want to be consistently and constantly updating your company website. 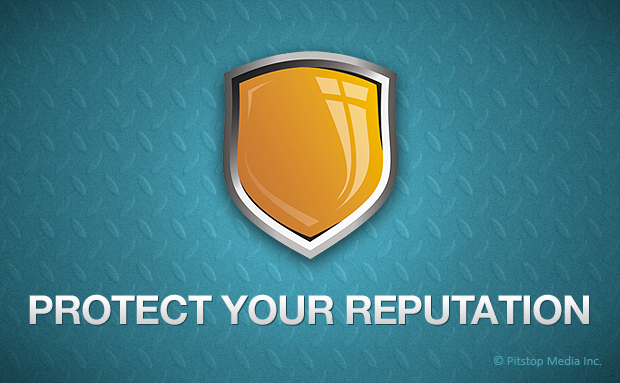 Keeping your company website up to date is the first line of defense for your online brand reputation. After all, it is the first place customers go to learn about your business. Write biographies for top company employees, be they supervisors, managers or technicians. Do this in addition to the traditional business information you include on a company website, as well as posting the latest HR news to keep people close to the brand. This is the best online brand reputation management strategy to take a hold of the narrative surrounding your business. Take advantage of it. It is important to have a social media policy in place that is understood and followed by all of your employees, just like the Bond Street referral program. Remember, in promoting your company, your employees are your best assets. As such, they should be guided on what they can say or talk about the company and its services. If possible, conduct regular social media training meetings. This will enable your employees to understand the consequences of careless posts and social media actions. Get them involved in maintaining and strengthening the brand reputation of your company. After all, they serve as the company’s representatives in dealing with clients. In the above garage door business, they make it a point to motivate my employees in putting a stake in my business. In regular meetings, they share in the company’s vision by indicating their own targets for the week and how to meet those targets. In doing so, they also help protect the company’s brand. It is also possible to include a social media clause in your employment contracts. This is similar to a non-compete clause or a no disclosure agreement that you make as a condition for employment. In this way, you protect both your employee and your business. It is important to have an online media plan in place detailing your goals and targets and breaking this down into regular (daily or weekly) operationalization plans. This way, you will know if you are achieving your targets or milestones and can make the necessary tweaks. The plan and its operationalization should have prior approval. Or, a system for approval can be set up. The plan should also consider contingencies or how to handle certain scenarios including trolls, plus an escalation process for certain issues, like if your business gets a negative mention in a mobile magazine. If you are not tech-savvy and know next to nothing about building and maintaining your brand reputation, hire an expert. Remember that it is oftentimes more expensive to do crisis management and brand rebuilding rather than proactively protecting your brand. Many companies like a popular insurance franchise have several Internet and social media experts that help in regularly monitoring the brand reputation to do corrections and tweaks, as necessary. There are also brand management software available that can help you in monitoring and managing your brand reputation. In brand reputation management, do not ever take anything for granted. No matter is too small to not be worth your time or effort. If you receive any negative feedback on your business, act on it. Immediately. Do not let it fester lest it escalates into something big. By then, it might be too late. In any business, you should make sure that you get updated on every little thing that may affect my company’s reputation — be it a missed appointment, an unsatisfactory service, a complaint on an employee, whatever it is. This shows that you not only care about your company or your brand, but also your customers. Do not be drawn into the gambit of feeding Internet trolls. They have the tendency to draw you into argument to gain attention and in the process, negatively affect your brand. Dealing with trolls should be part and parcel of your online media plan — you can either ignore them, unmask them, ask help from others etc. But remember, never provide the platform to generate more attention. However you would want to handle the protection of your brand identity and reputation, always keep in mind that it is your most valuable asset. As such, protecting it at all costs should be a priority.